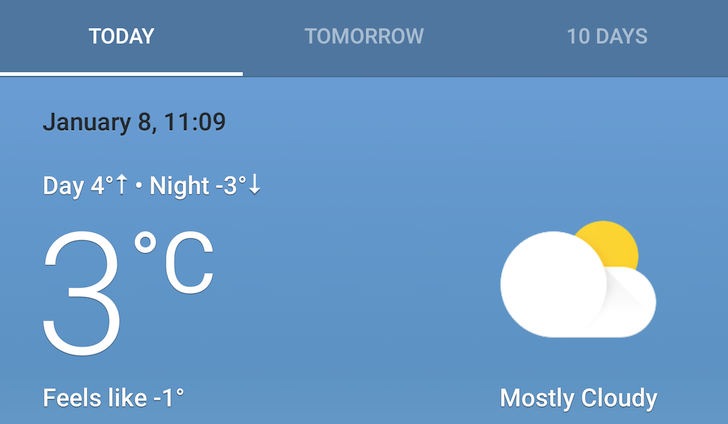 Some users have already seen the revamped Google weather card in search, but now everyone can expect to get the new look very soon. Google has updated the Inside Search blog to announce the new UI and give a rundown of its features. It's a bit cartoony (okay, a lot), but there's much more detail than you get with the old card. The background of the card will change to indicate the time of day and weather conditions. Along with that card, there's a little cartoon frog that experiences the weather with you. The new card also includes hourly forecasts, severe weather alerts, extended forecast, air quality, UV index, and more. Google's weather card will show conditions in your current location by default, but you can add favorite locations as well. These will show up as a drop down in search. Google hasn't said when the new UI will roll out to everyone—my weather card appears to be the old one still. It shouldn't be long, though.